Its market share has since slipped to just 0.6% as other browsers such as Microsoft's Internet Explorer (IE) and Firefox have eroded its user base. The company recommends that users upgrade their browser to either Firefox or Flock, which are both built on the same underlying technologies as Navigator. "I think we represent the hope that was of Netscape," Mitchell Baker, chair of the Mozilla Foundation which coordinates development of Firefox, told BBC News. "We have picked up many of the things that Netscape launched but we've taken them further in terms of openness and public participation." Ms Baker was one of the first employees at Netscape in 1994. Netscape was created by Marc Andreessen who as a student had co-authored Mosaic, the first popular web browser. His company Netscape Communications Corporation released the first version in 1994. According to Shawn Hardin, President and CEO of Flock, Netscape played an important role in making the internet "a relevant mass market phenomenon". "Netscape had a critical role in taking all of these zeros and ones - this very academic and technical environment - and giving it a graphical user interface where an average person could come online and consume information," he told BBC News. "During its halcyon days it really felt like the internet and Netscape were really the same thing," he said. Other companies capitalised on Netscape's success, notably Microsoft, which began to bundle IE with its Windows operating systems. Although this led to legal wrangles over anti-competitive behaviour, IE now dominates the browser landscape with an 80% market share. As a result, Netscape became unviable. "While internal groups within AOL have invested a great deal of time and energy in attempting to revive Netscape Navigator, these efforts have not been successful in gaining market share from Microsoft's Internet Explorer," said Tom Drapeau on the Netscape blog last year, when the demise of the browser was first announced. For the past week Netscape users have been shown a message alerting them to the end of support for the browser. 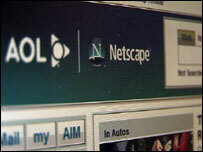 "Given AOL's current business focus, support for Netscape browsers will be discontinued as of March 1st, 2008," the message reads. It then suggests users upgrade to either Flock or Firefox. Firefox is the main competitor to IE, particularly in Europe where it has a 28% market share, according to some statistics. The open source browser's development is coordinated by the Mozilla foundation, set up by Netscape staff made redundant in 2003. 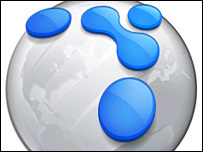 It has had more than 500 million downloads worldwide and in countries such as Finland it is the most popular browser. "Competition is what brings quality," said Ms Baker. "There are lots of ways that people are engaging in having a conversation and Flock is very focused on making that as effortless and convenient as possible," said Mr Hardin. "I'm sad. Flock still needs improvement and I am not happy with Firefox's interface. I'm [an] orphan!" read one post on the Netscape blog. 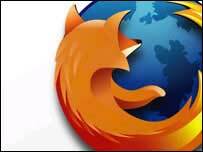 Others who posted comments on the blog predicted the browser will make a return. "Netscape is a wonderful browser, and it will be so in the future," read one.